Misconduct investigations are never easy for any HR manager. But they’re necessary and no one’s going to escape that duty for long. To make the job a little easier, attorney Jennifer Brown Shaw offers her suggestions for how to brief and question the complaining employee, the accused employee, and witnesses. Our company is committed to compliance with the law and its policies, and will conduct a prompt and thorough investigation to determine whether inappropriate conduct has occurred. If so, the conduct will be stopped and appropriate corrective action will be taken. The purpose of the interview is to obtain a thorough understanding of what has occurred, and to identify all evidence and witnesses who may have knowledge of the incident. Your name will be used in the investigative process only as and/or if necessary. There will be no retaliation against you for making a good-faith complaint. Notify management or HR immediately if you believe retaliation has occurred or is occurring. Keep the matter confidential to protect the integrity of the investigation. Note: Depending on the nature of the complaint, the employer may want to consider options to separate the complaining employee and the accused employee during the investigation. When (include the date, appropriate time period involved)? Who did or said what? In what order? Was anything else said or done? If there was physical contact, describe the contact in detail. Demonstrate the physical contact. Have you ever reported this incident before? If so, to whom? When? Response? Did you discuss the incident(s) with anyone? If so, who? Where? When? What was said? Are you aware of any other incident(s) involving this person? If so, who? What? Where? When? Do you know why it happened? 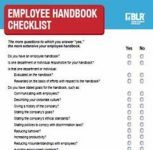 Yes, you do have the budget and time to train managers and supervisors with BLR’s® 10-Minute HR Trainer. Try it at no cost or risk. Read more. What is your relationship with the respondent? Why are you coming forward now? Are there any notes, documents or other evidence to support your claims? Did the respondent give you anything in writing, or any gifts or other items? Were there any witnesses? Who was nearby? Within earshot? Who else may have relevant information? Was your work affected? How? How did the situation make you feel? What outcome would you like to see from this process? The purpose of the interview is to obtain a thorough and accurate understanding of what has occurred, and to identify all evidence and witnesses who may have knowledge of the incident. It is against the law and internal policy to retaliate against anyone who has filed a complaint or participates in the investigation of the complaint. Notify management or HR immediately if you believe retaliation has occurred or is occurring. 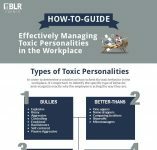 Train your line managers with BLR’s 10-Minute HR Trainer. There won’t be time for classroom boredom. Try it for free. If denied, what motive would anyone have to make these allegations up? Where were you at the time alleged incidents occurred? Who witnessed your presence? Who did or said what? In what order? How did the complainant(s) respond? Are you aware of any other incidents involving the complainant(s)? If so, who? What? Where? When? Are you aware of any other complaints by the complainant(s)? Are there any notes, documents, or other evidence to support your version of the facts? Who else may know relevant information? Did you discuss the incident(s) with anyone prior to this interview? If so, who? In tomorrow’s Advisor, Shaw’s suggestions for interviewing witnesses, plus an introduction to a very practical collection of 10-minute training modules for your supervisors and managers.